Factory warranty active. 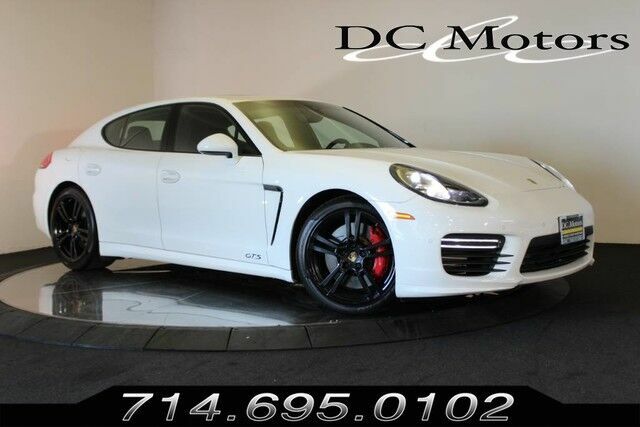 Optioned with PDK transmission, 20" wheels, lane change assist, rear camera, BOSE sound, PDLS system. $128K MSRP. Clean CARFAX. For more information about this vehicle and attractive financing options, please call our experienced sales team at 1-800-730-MOTOR. Alcantara Leather Seat Trim -inc: Leather interior w/Alcantara Package in standard color The Alcantara-Package contains stitched GTS model designation on front/rear seat head restraints and following scope in Alcantara: Front/rear armrests in door trim panels forward center console armrest front of armrest front/rear seat centers roof lining A-pillar B-pillar (upper section) and sun visors In conjunction with exclusive option "armrest on center console with model designation or Porsche Crest" the center console armrest will be equipped in smooth leather.